As a reluctant observer of Kirstjen Nielsen, I’ve marveled at her tenure as secretary of the Department of Homeland Security. 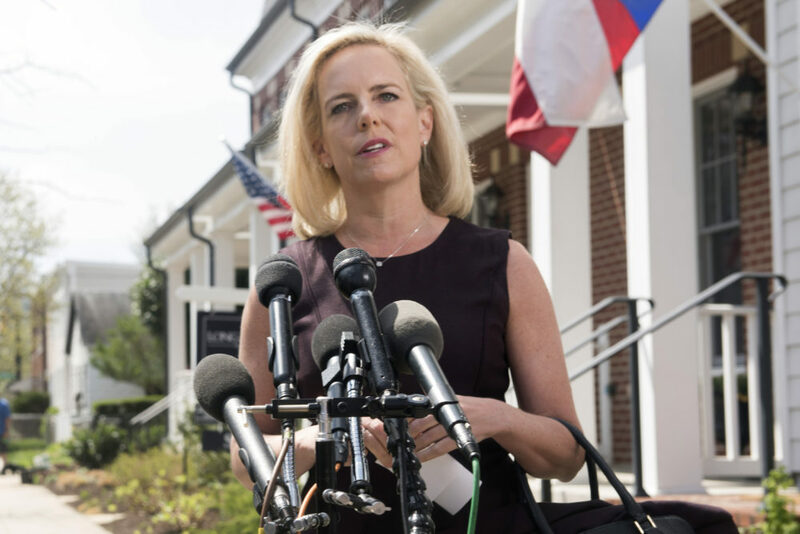 Not only did she implement the Trump administration’s policy of separating refugee children from their parents at the border, not only did she lie about this to Congress repeatedly, not only did she deny that those children are put in cages, but Nielsen appeared completely unaware of the trauma inflicted on these children. For anyone who watched Nielsen’s bloodless, bureaucratic obfuscations, it came as no surprise that administration officials dubbed Nielsen “Nurse Ratched,” after the sadistic nurse in Ken Kesey’s novel "One Flew Over the Cuckoo’s Nest." But we now know that Nielsen’s fatal flaw wasn’t that she was too cruel. It’s that she wasn’t cruel enough. What’s happening here is both temperamental and political. On the temperamental side, Trump is throwing (yet) another tantrum because an underling isn’t being “tough” enough to violate the rule of law when he says so. His real beef is with the courts, and the Constitution, for not allowing him to be the dictator of a sh**hole country. But he can’t fire the Constitution, so he goes after his craven cabinet members. Politically, the purge of Nielsen is a clear bellwether of Trump’s re-election strategy. He’s not going to work out some grand compromise on immigration, or pass an infrastructure bill, or even run on the economy. No, he’s going to demagogue immigration. That’s really all he’s ever done as a political figure: pander to the paranoid fantasies of his base, fantasies ginned up and monetized by the fanatics at Fox News and talk radio. To stoke fears, he and his media allies will lie incessantly about virtually every aspect of immigration. [Trump] can’t fire the Constitution, so he goes after his craven cabinet members. His central instigator in this effort will be Stephen Miller, a ghoulish Iago adored by white nationalists because of his open embrace of anti-immigration policies. It is Trump’s inept leadership — his decision to cut aid to Central American countries, for instance — that's helped generate the spike of refugees at our southern border. But this is not bitter irony. In fact, Trump and his re-election team will seek to benefit from the growing border “crisis" because it will feed the racialized panic of his base, while the rest of the Republican party cowers obediently. If you thought the 2016 election was ugly, just wait till Trump starts whipping up his angry mobs this time around. As his rhetoric becomes more extreme, you can expect to see more and more violence from white nationalist terrorists. Bostonians can't pretend they didn’t see this coming. After all, in May 2016, a pair of South Boston brothers beat a 58-year-old Mexican immigrant man with a metal pole on their way home from a Red Sox game. Even Nurse Ratched would be horrified. Steve Almond's new book, "Bad Stories: What the Hell Just Happened to Our Country," is now available. He hosts the Dear Sugars podcast with Cheryl Strayed.